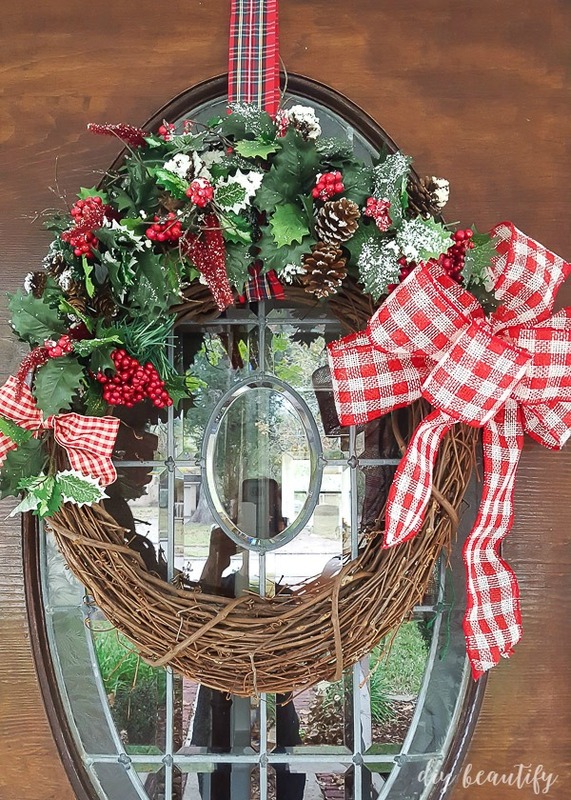 We may not have snow here in south coastal Texas but it's feeling a lot like Christmas! 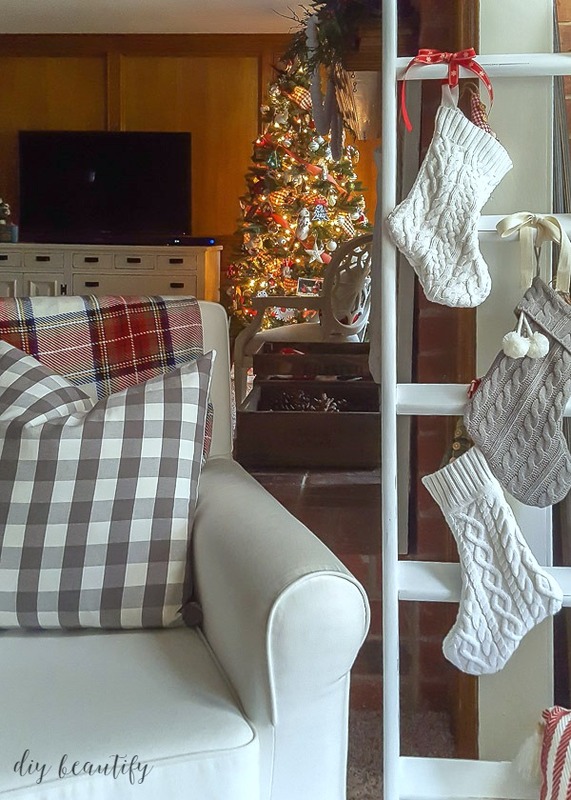 Decorating a new home for the holidays is fun and challenging. 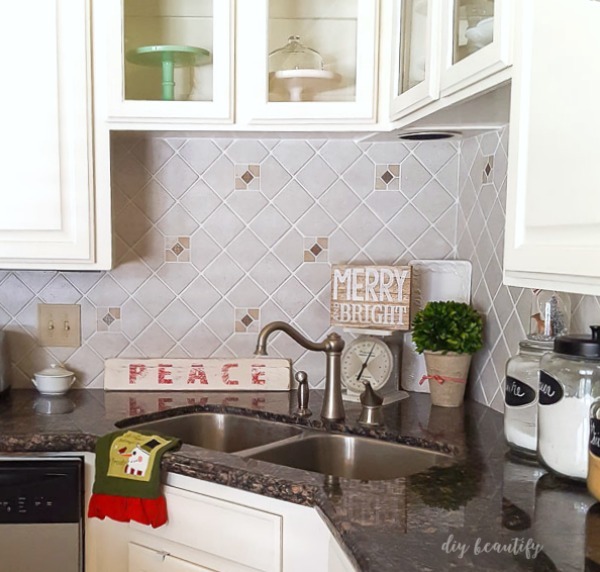 Come on in and let me show you how I've been adding Christmas touches all throughout our house! If you follow me on Instagram, you've no doubt seen some of my Christmas projects and decorating already! We started decorating for Christmas the week of Thanksgiving. 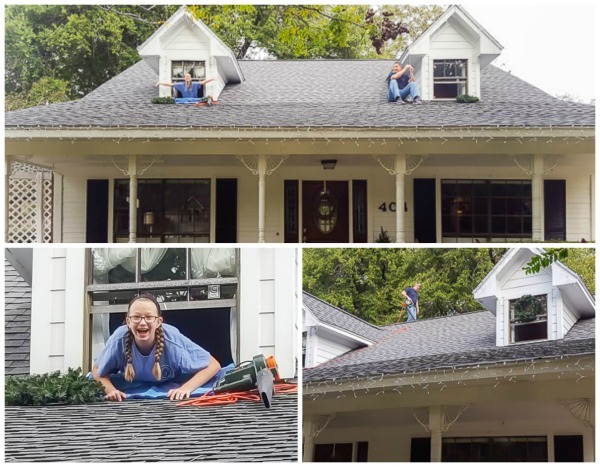 It started off with these two goofballs hanging icicle lights and wreaths to the exterior, and blowing all the leaves out of the gutters! 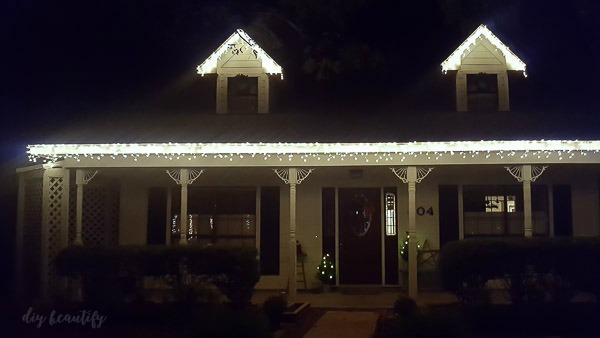 Our home has great farmhouse curb appeal and is so easy to 'dress' for the holidays. The porch was simply decorated with a couple of small trees in galvanized pails. Fairy lights make them magical. 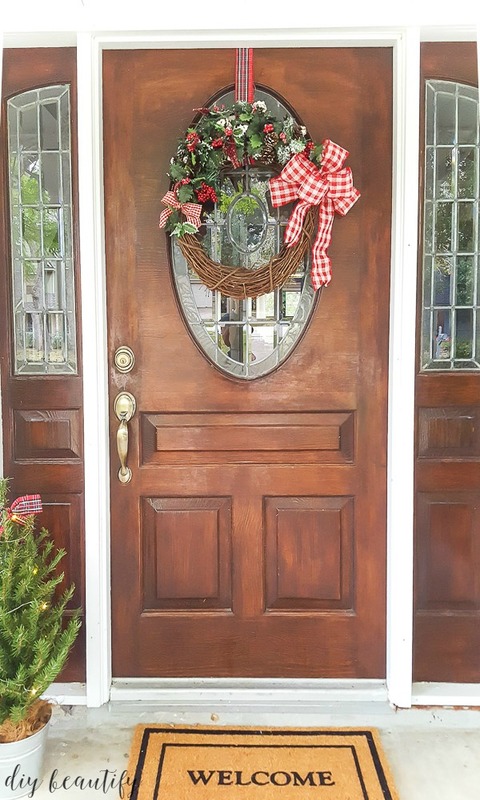 The front door wreath was recycled from last year, I just added a new gingham bow made from this ribbon. 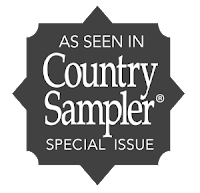 It adds a great welcoming touch! Come on inside, the sitting room at the front of the house is one of my favorite rooms in our home. It's been freshly painted and I love the addition of red and white for Christmas here. My painted cabinet is a great piece to decorate for any season, but I especially love how the red contrasts with the robin's egg blue! My red throw and pillows are from HomeGoods, purchased last year. I'll be sharing the tutorial for this white tree in a few days. 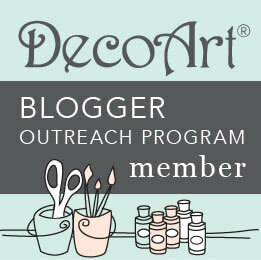 If you would like the tutorial for the faux driftwood pallet sign, you can find that here. Let's move on to the dining room! Fresh greens and fairy lights make it look festive! 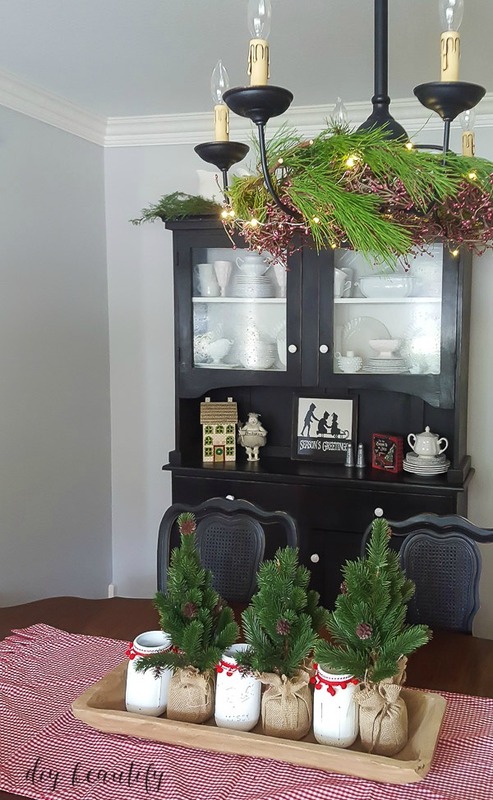 One of my favorite Christmas decorating tips is to mix faux greenery and berries with real ones. I've tried to keep my decor simple and no-fuss. 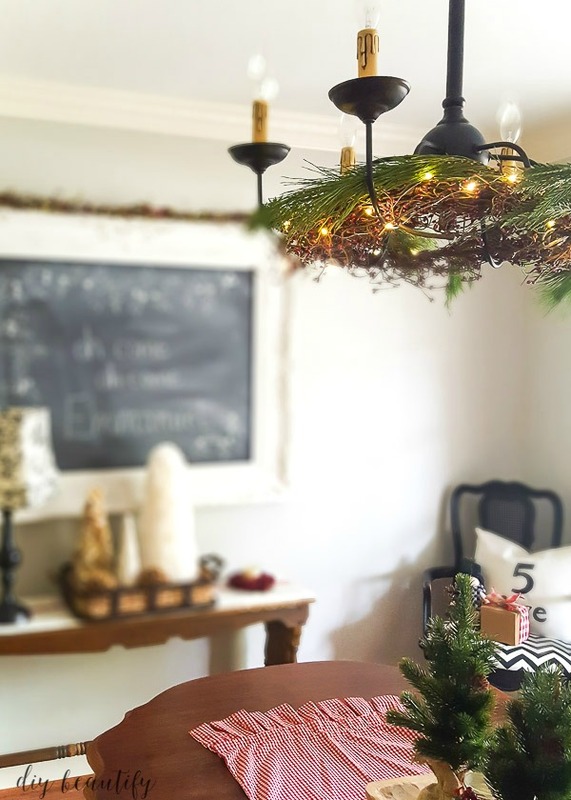 My table centerpiece is a shallow dough bowl (similar to this one) filled with mini trees and my painted mason jars that I made last year. Easy to remove when we need to expand the table. More live greens top my black hutch, and I've included some of my favorite Christmas accessories, both collected and handmade throughout the years. The kitchen, also recently painted has a few Christmas additions as well. I can't wait to use my faux vintage jadeite cake stand for Christmas goodies! 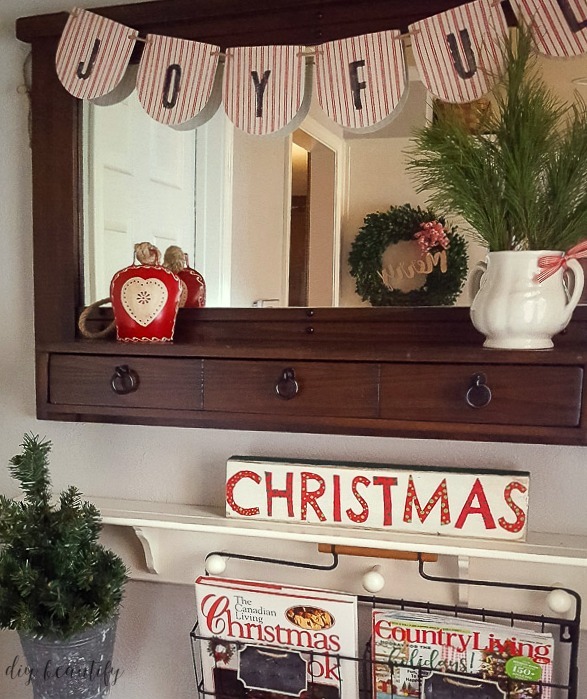 Our side entrance opens into the kitchen and received some festive touches like this handmade joyful garland. I found the striped banner piece in the Target dollar spot and added letters with a stencil and black paint! 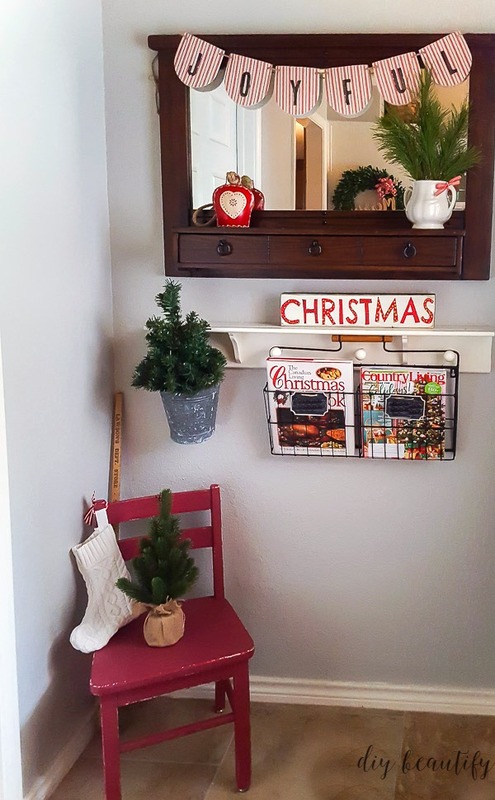 Favorite Christmas books and magazines fill the metal holder and more greenery is a perfect touch without being too busy. I hesitate to share pictures of my living room because it has been my biggest challenge in our new home. The dark paneling makes it feel dated, and I cannot wait to paint it and lighten the whole space. Stay tuned for that project this coming year! In an effort to lighten the space, I hung my white shutters on the fireplace. 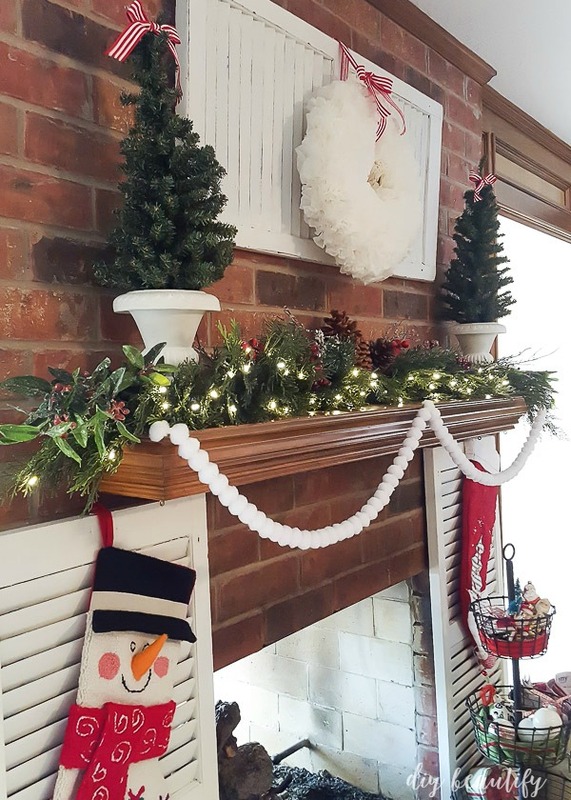 A few red ribbons, my white coffee filter wreath and a new garland finish off the mantle. I splurged and bought a beautiful new tree this year, getting a great Black Friday deal. This adorable pillow cover was another new addition and looks so cute wherever I put it! My old tree ornaments mingle cheerfully with the new goodies. 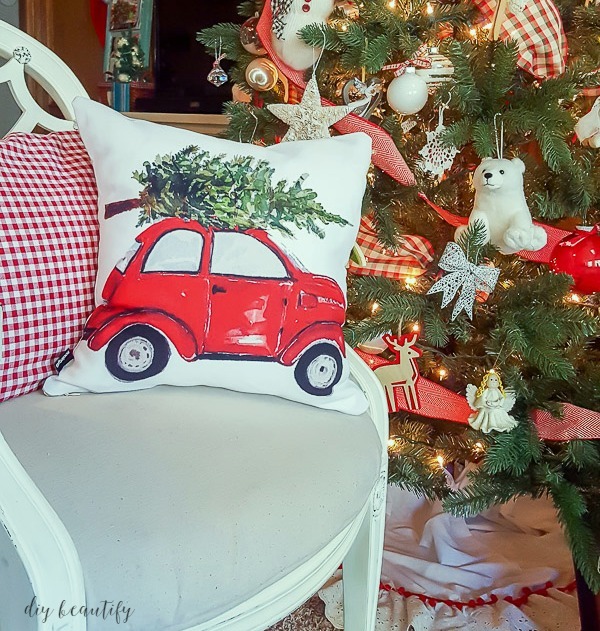 I made a couple new pillow covers with red gingham and in a few days I'll be sharing an easy removable pillow wrap that I'm making to jazz up those pillows even more for the holidays! I decorated the tree with two different ribbons this year and recycled my homemade tree skirt again. 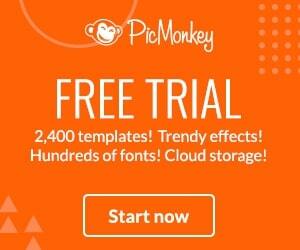 You can read how I made it here. 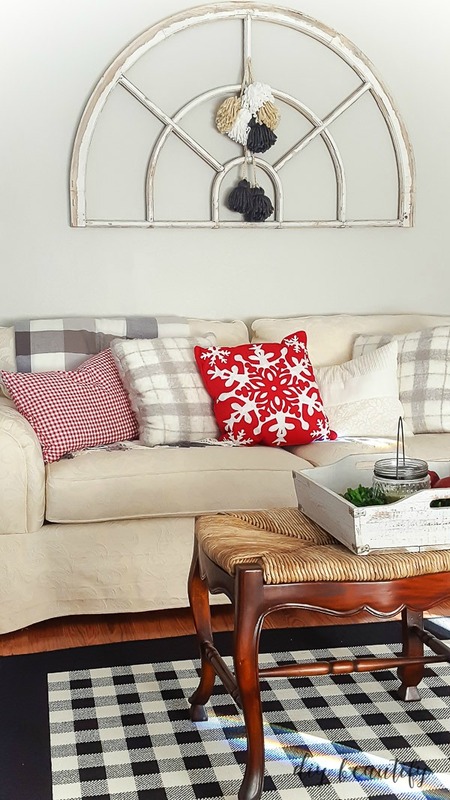 I can't get enough of the red pom pom trim with the white eyelet! So Nordic!! This little ladder is a project I'll be sharing very soon (I found it in the garbage pile at the end of my neighbor's driveway...ssh!) 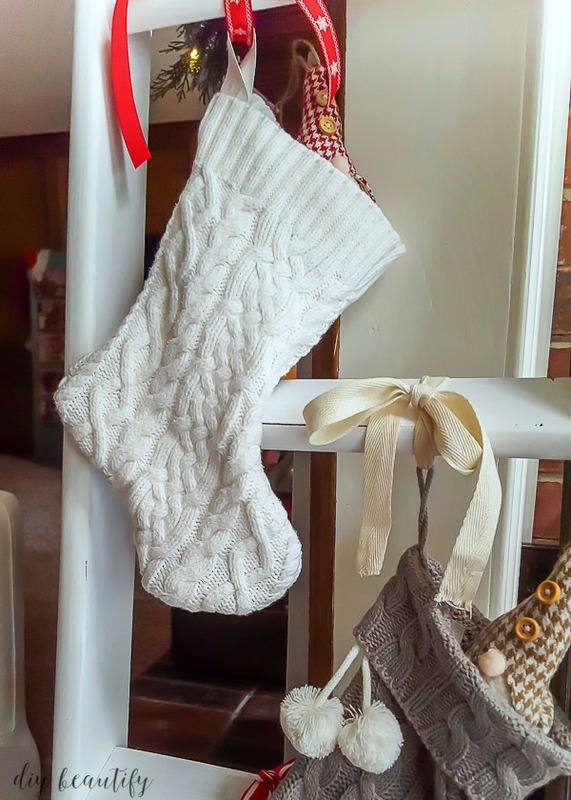 I recycled a thrift store cable knit sweater into a couple of small stockings and hung them on the ladder. Little gnome ornaments are peeking out. One of our family traditions is to give our kids a new ornament each year so when they leave home someday they'll have enough to decorate their own tree! The lights of the tree are truly magical, I could sit and stare at it for hours! Normally I dread wrapping gifts because I leave it until Christmas Eve and by that time it's a stressful, rather than enjoyable, thing to do. This year I'm determined to wrap gifts as I purchase them and save myself the extra stress! 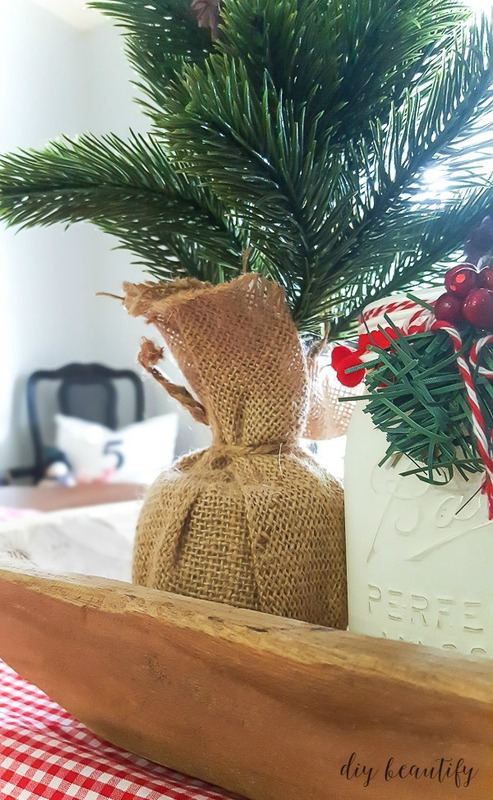 I'm using some of my ribbon and burlap scraps and small chalkboard tags to decorate with this year. 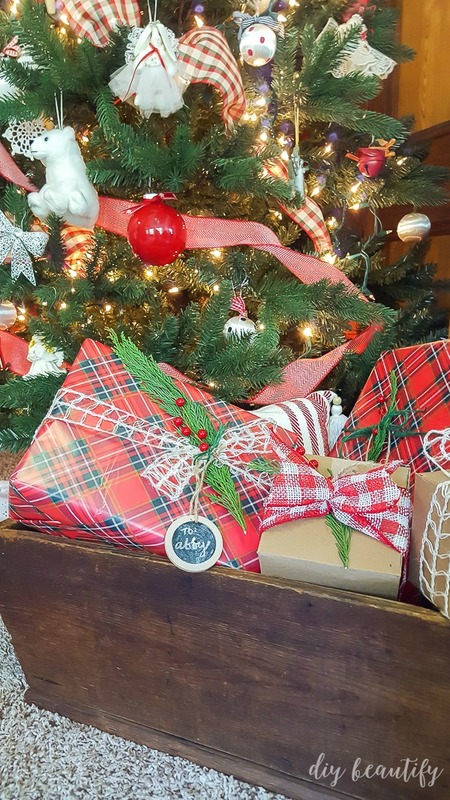 Plaid wrapping paper is just perfect for the season! 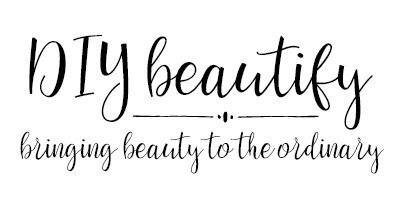 Add a sprig or two of greenery and you're got yourself a beautiful package! The chalkboard tags can be recycled for another year! 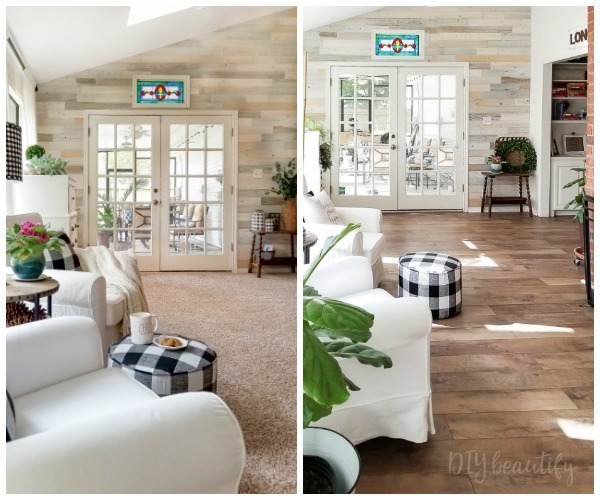 I admit that I keep fussing and changing things...I think that's part of being a home decor fanatic! Nothing is ever quite right! How are you coming on your Christmas decorating? What about your shopping? 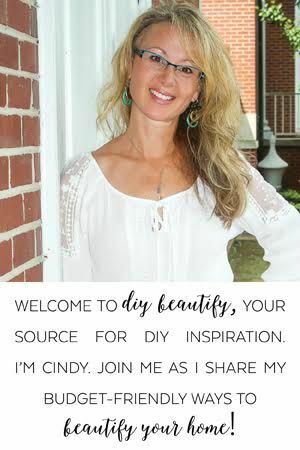 Beautiful home Cindy! 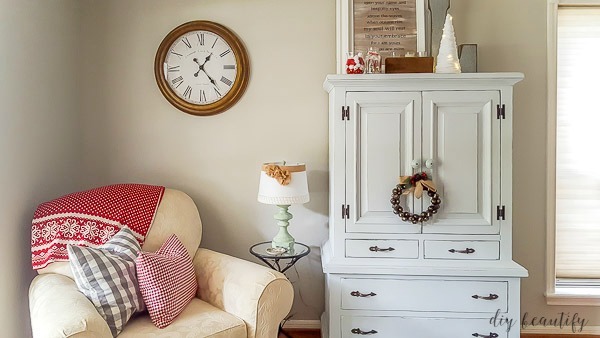 All of those subtle touches make it look festive and Christmasy without being over the top! Is that a wreath I saw hanging on the cabinet? Merry Christmas! Thank you so so much Mary, that's exactly the kind of Christmas decor I was aiming for! 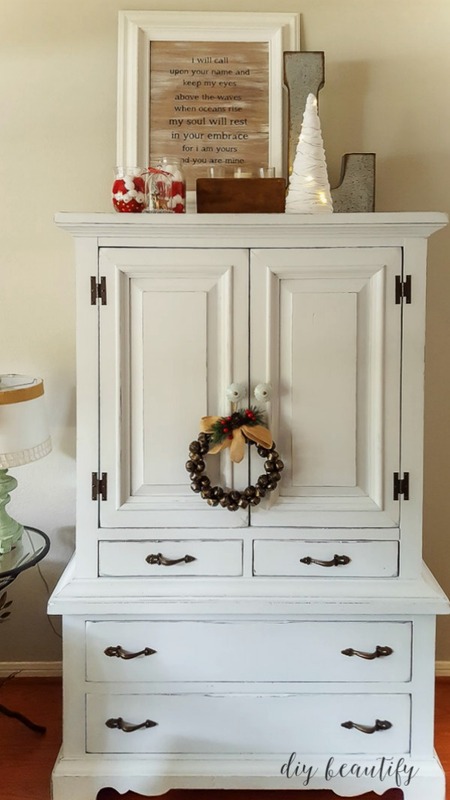 Yes that is a little jingle bell wreath on the cabinet!